Save, Sail, Enjoy This April! O Canada! Our home and native land, truly a beautiful and welcoming country that we’re fortunate to reside in. Only problem is, our winters can get very frigid, lengthy and Mother Nature is known for getting a head start on the season. Escape the early winter blues to much warmer and pleasant settings. Treat yourself to one of our many cruises here at Craig Travel! This month, our featured cruises are the relaxing and tranquil cruises through the Lower Mississippi and New Orleans or, for the more adventurous traveller, our journey to Ecuador and the Galapagos Islands may be what you’ve been waiting for! Either way, you can have your cake and eat it too! What are you waiting for? Book and reserve your spots today to enjoy our early bird savings and get away from the frosty weather! November is one of the best times to experience this leisurely river cruise. Not too hot or too cold, temperatures average from a pleasant 22°C during the day and slowly dropping to a mild 13°C during the evening. No need to pack any hefty winter jackets during this southern adventure! There’s a handful of sites and cities to explore during your time in the south. Your eyes won’t be the only thing that’s in for a surprise. 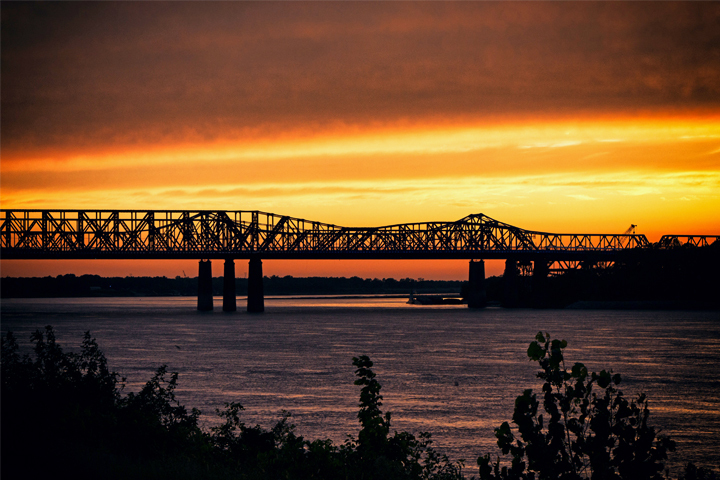 Indulge your palate as you enjoy the bold flavours of the Mississippi and New Orleans! 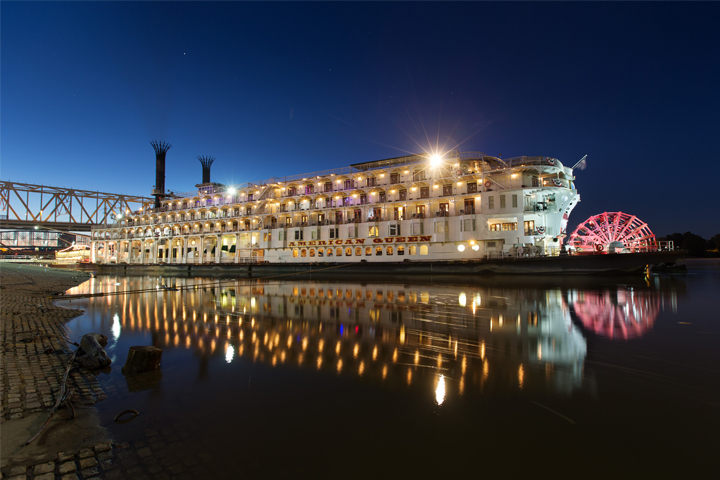 Of course, this river cruise would not be a cruise if it weren’t for our friends over at American Queen Steamboat Company. Rewind the clock back to 1787, the dawn of the steamboat era. John Fitch was the first person to successfully complete a trial of this method of travel along the Delaware River. Unfortunately, his later endeavors did not prove to be financially successful and operations ceased. The silver lining? This was the first step towards regular passenger transport via marine steam propulsion. Further advances led to a variety of steamboat ships across the United States. This opened the doors to regularly scheduled trips along rivers and even steamboat races! Let’s jump back to the present and climb aboard the ss American Queen. This elegant and luxurious steamboat is equipped with the latest in modern amenities all while retaining her Victorian charm. Appreciate the vast collection of books within the Mark Twain Gallery or perhaps snap your fingers along to the tune from one of the splendid shows inside the two deck tall Grand Saloon? On the other hand, you could simply explore the multiple decks and bask in the glorious scenery during your much-deserved vacation. Either way, you’ll experience complimentary wine and beer with dinner, regionally inspired fine dining, Broadway-caliber entertainment and comprehensive, guided shore excursions! Be sure to book early to enjoy our early booking savings! We look forward to seeing you this November, safe travels! Is your inner adventurer yearning for the great outdoors? Well look no further friends. It isn’t too late to reserve your seats to experience a journey like no other. Join us as we travel southbound to exotic Ecuador. Immerse yourself in a completely different environment as we discover the traditions, culture, cuisine of this magnificent country all while enjoying the hospitality of the friendly locals! Your inner adventurer need not fret, there’s much more to this journey than meets the eye. 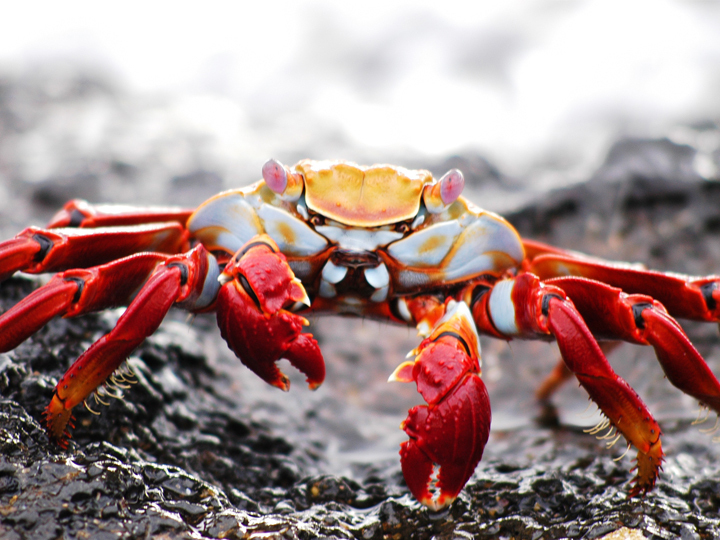 More specifically, one of the most anticipated highlights of this journey is when we hop aboard a plane and fly west from Guayaquil to the famous Galapagos Islands. After our scenic 600-mile flight, we transfer to the beautiful ms Santa Cruz II where we will set sail for a nautical journey to the many different isles that houses a myriad of wildlife and vegetation! Our cruise ship is designed to hold only 90 passengers so there won't be a crowd! Equipped with full air-conditioning, a comfortable lounge and dining areas, sail away in comfort and style as we cruise around one of the most beautiful archipelagos in the world! With multiple shore excursions, there’s no shortage of adventure and excitement. 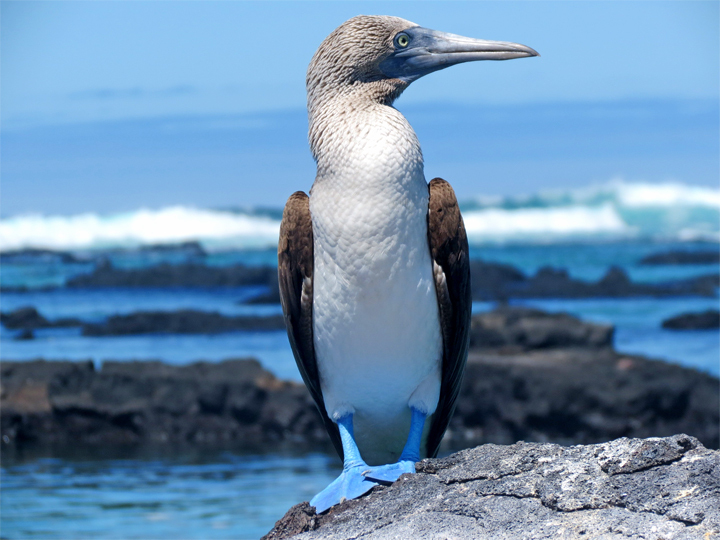 Each island is home to unique critters such as the blue-footed boobie, sea lions, inter-tidal organisms and much more! What are you waiting for? Join us this November, escape the clutches of winter, and enjoy the open waters of the Pacific Ocean as we cruise around the Galapagos Islands. Your inner adventurer is sure to be satisfied from all the scenic beauty and wildlife that’s to come. The best part is, you’ll set sail in comfort aboard our quaint and comfortable cruise ship while taking advantage of our early booking savings!